All too often, people tackle estate planning with a “fix it and forget it” attitude. They believe that once they’ve established their wills and trusts, they can move on without another thought. 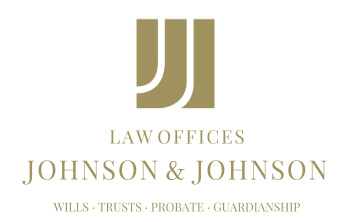 However, if more than a few years have passed since a trust was established, residents of Nevada should be aware that their trusts could potentially be out of date. The good news is that trusts that are out of date or contain mistakes can be fixed. Trusts “break” for a number of reasons, but a change of life circumstances – such as a divorce — is the primary cause. Estate tax law changes may also be a good reason to consider updating if the trust was created when exemption amounts were lower or before higher income taxes came into the picture. Too, there is always the chance that mistakes were made during the original estate planning. A review and revision of a trust could address these issues and more. One possible option to discuss with an estate planning attorney is reformation, which allows a request for the rewriting of a trust’s original terms – if they were based on a mistake – so that it will align with actual intent. Modification may be another choice if unforeseen events necessitate changes to conform with a trust’s purposes. Division or consolidation of trusts may be options as well; for example, one trust could be split in two to benefit grandchildren. Lastly, people who have moved may want to examine the options of relocation or decanting with a Nevada attorney to see whether these are available options to address errors or help take advantage of new tax laws. It can be vital to discuss any or all of these options with an estate planning attorney, as there is a bit of risk involved with making alterations to a trust. State court rulings don’t always align with IRS decisions, so a lawyer may be able to offer insight into whether trust modification or reformation will be effective when it comes to federal tax purposes. If residents of Nevada review their estate plans and find their trusts are no longer working as originally intended, it might be time to consult a lawyer who understands the complex techniques involved with trust modification.